Paper Crafts by Candace: SVG Cutting Files: Challenge! Happy Challenge day! This months challenge over at SVG Cutting Files is "Make a treat for someone!" 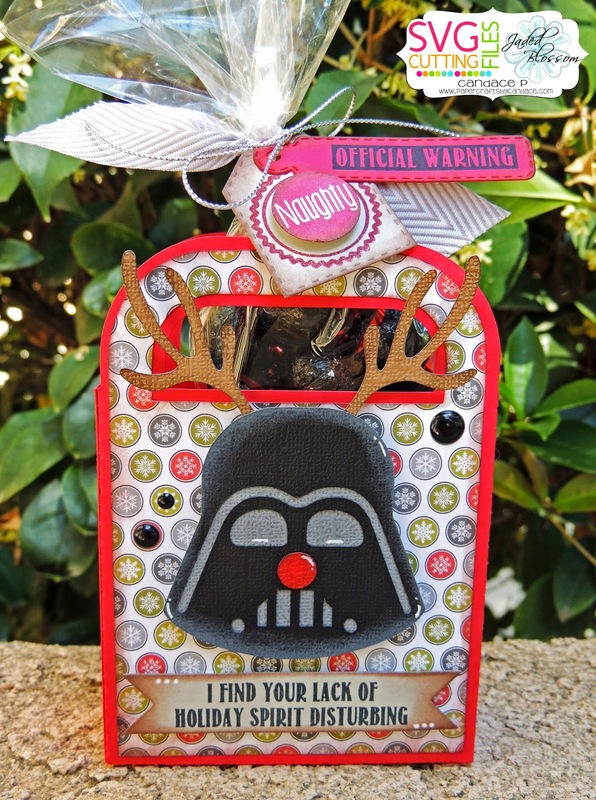 I decided to make a little Christmas treat for my husband who is a big star wars fan! I used SVG Cutting Files "So Jacked Handle Bag"
I used Jaded Blossom's Mini Tag Dies, Mini Tag Dies 2, Elf Report Card, Bah Humbug and Flag Dies. 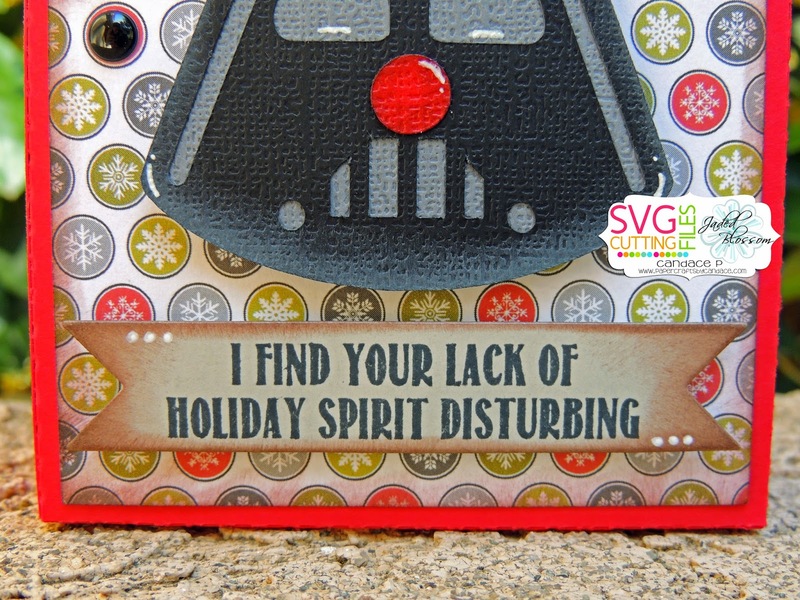 Here is a close up of the sentiment..
You can EARN this Darth Reindeer file for FREE when you enter this months challenge.